Fabulous first meeting of the new Autistry Puppet Workshop led by Courtenay Bell and Melissa Diaz-Infante! 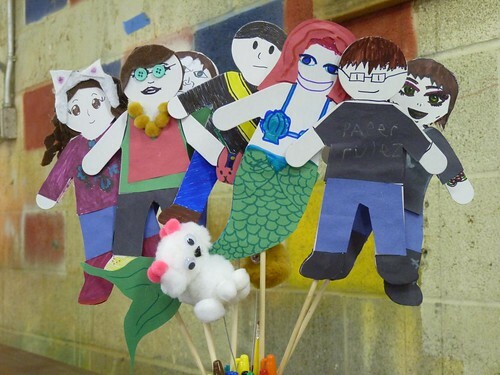 The students made stick puppets of themselves. Over the next couple of months they will make several types of puppets, build a puppet theater and stage, and write/perform/film several short puppet plays. Lots of fun!